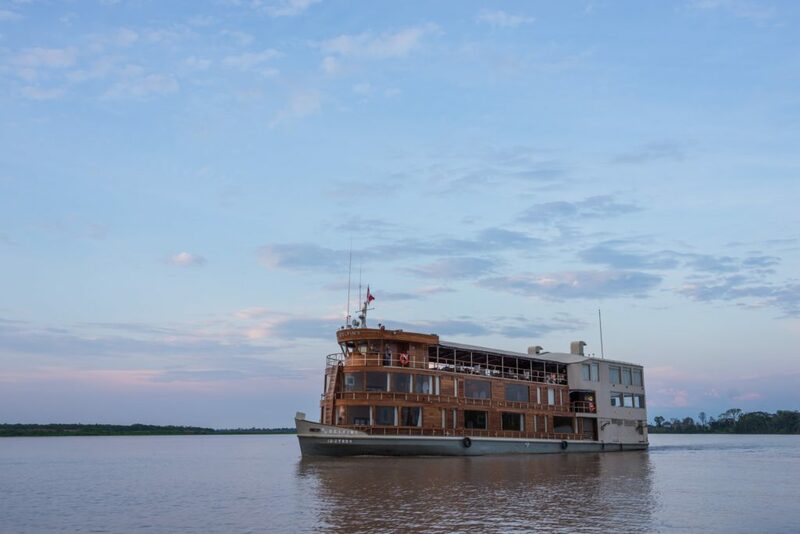 I recently had the opportunity to go on a Natural Habitat Adventures trip to Peru, which included a river cruise on the Amazon. 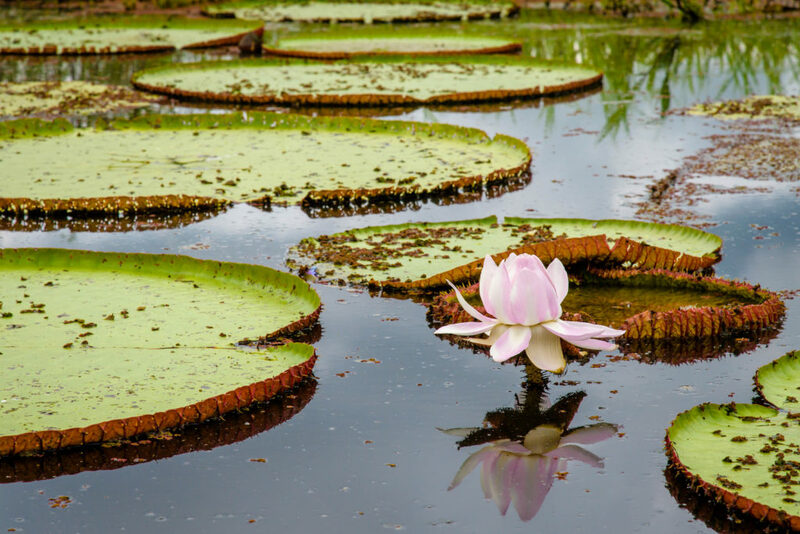 It was an amazing trip and gave me the opportunity to experience the incredible diversity of the Amazon while traveling in first class accommodations. After a short flight from Lima to Iquitos, we were shuttled to the small town of Nauta, the departure point for the Delfin II—our floating home for the next several days. The ship was beautifully appointed, with polished wood decks, an inviting lounge area, and welcoming staff. The rooms are spacious and comfortable, with a huge window for optimal views. The meals we also wonderful, using only the best locally sourced ingredients and creative preparation. Each day we left the comfort of the Delfin II for excursions on the river. We took small skiff boats—seating 6-8 people, in addition to our Nat Hab trip leader and a Delfin staff naturalist. Both were expert at spotting wildlife and bringing us to just the right spot for the best views. 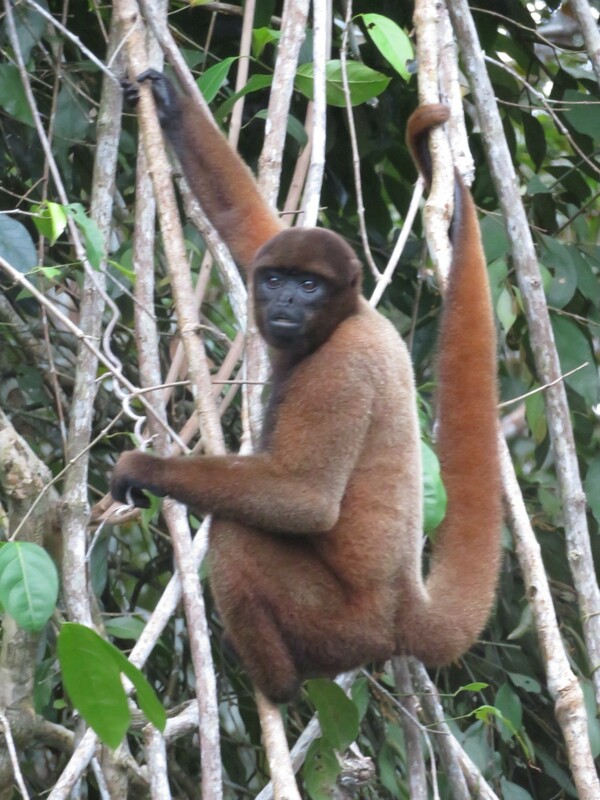 On the various excursions I saw beautiful birds, sloths, caiman, and several species of monkeys, including one that came so close I thought he might jump in the boat! However, my favorites were the grey and pink river dolphins that we spotted on several occasions. 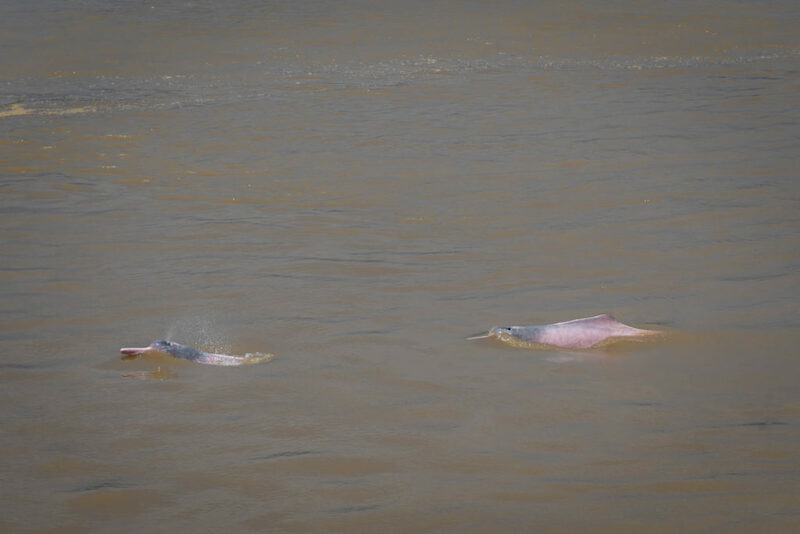 I was even treated to my own personal dolphin spotting when a pink dolphin surfaced right outside my bedroom window. 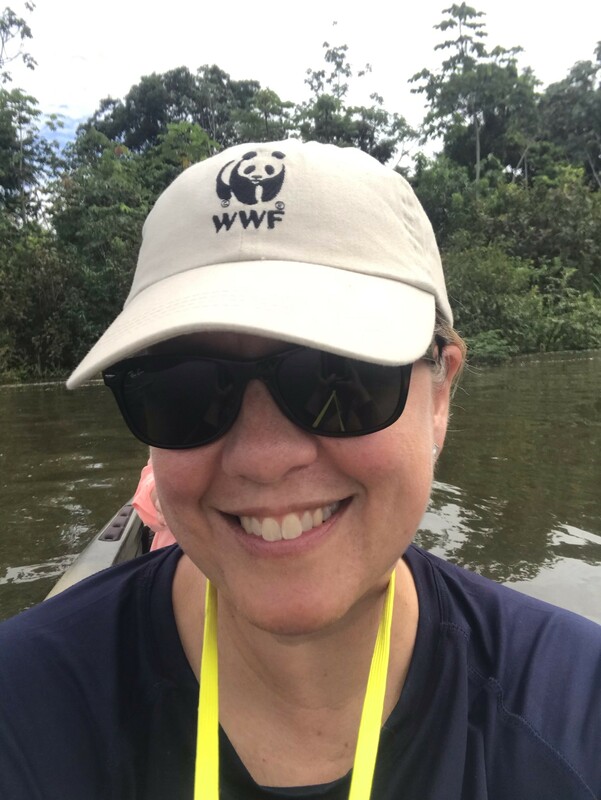 In addition to the wildlife spotting skiff rides, we were given the chance to participate in other activities, including fishing, kayaking, stand up paddle boarding, and even a quick swim in the Amazon. We also had the opportunity to learn more about the Amazon and its people and culture though onboard presentations by our Nat Hab trip leader and Delfin staff, and through a visit to a local village. During the visit, we were able to see how the local people live and the importance of Amazon ecosystem to their lives and livelihoods. After touring the village, the women displayed their beautifully made handicrafts for sale. In addition to supporting the local economy, I came away with some unique souvenirs from a memorable trip. I can’t recommend this trip enough—it is truly a “bucket list” experience made all the more memorable thanks to the Nat Hab staff and luxurious accommodations on the Delfin II.